Download the Social Bicycles app or visit a partner website to get access to all four systems. Your new seamless bike share system. Santa Monica, Beverly Hills, West Hollywood, and UCLA are proud to introduce the next phase of transportation and urban mobility to LA County. 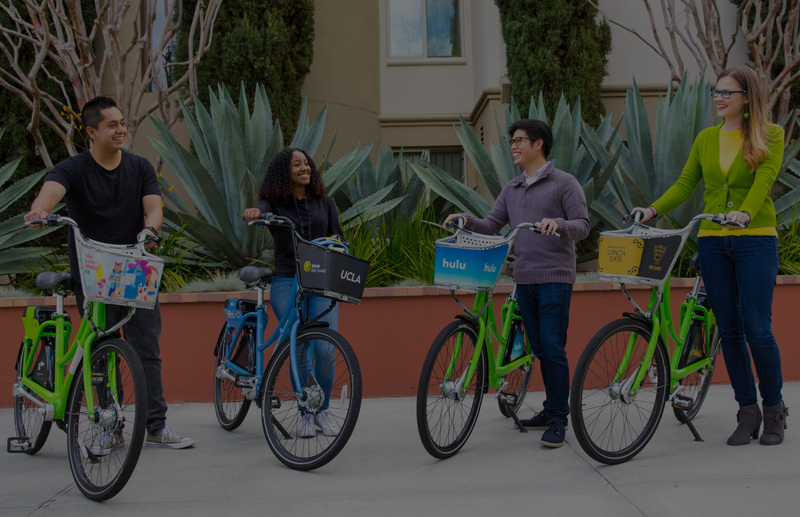 Bike Share Connect provides access to more bikes in more places – with one membership you get access to four systems! Car-free mobility is a fun, healthy and environmentally-friendly way to get around. Smart Bikes can be unlocked at one station and returned to another anywhere in the system area. Making it easy to commute to work or school, run errands, and meet-up with friends. 1 membership. 4 systems. Bike Share Connect. Download the app or visit a partner website to get access to all four systems.